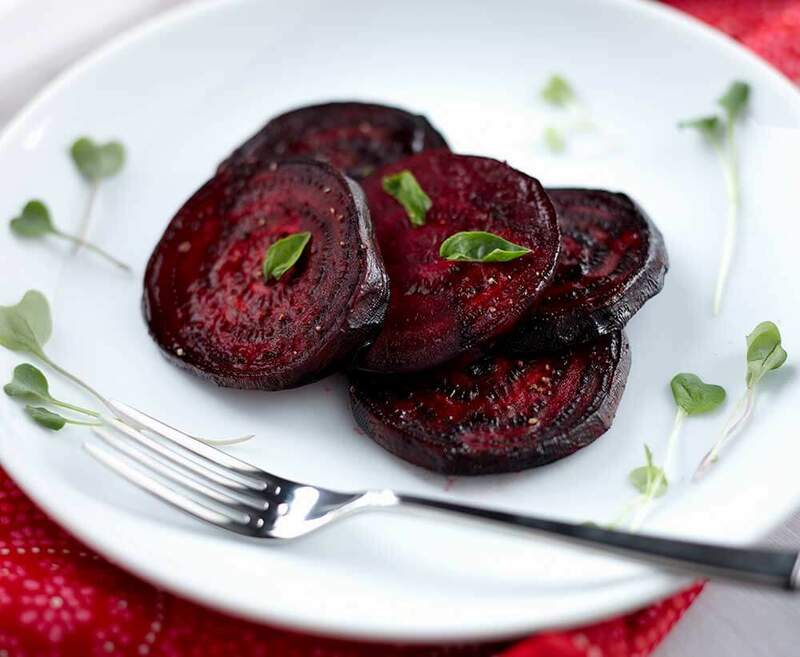 We love this tasty beets dish seasoned with a tasty glaze made from soy sauce and mirin and thickened with our Emperor’s Kitchen Organic Authentic Kuzu. Heat oil in a skillet; add sliced beets and salt, and sauté briefly. 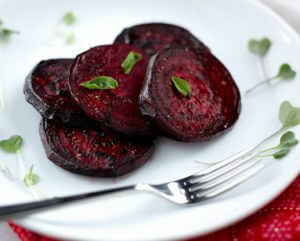 Add water to cover bottom of skillet, lower heat, cover, and cook for 20-30 minutes or until beets are nearly tender. Add more water if needed to prevent scorching. Add mirin, cooking for 5 more minutes, then add soy sauce and cook for another minute. Dissolve kuzu in 1 Tbsp water and add to beets while stirring constantly until liquid returns to a simmer. Cook 1-2 more minutes, adding a little more water if too thick. Serve hot. Soak arame for 15 minutes in enough cool water to cover. Remove arame and carefully pour off ¼ cup liquid; discard the rest. Saute onion in oil until soft, stir in curry powder and saute 3 more minutes. Add cabbage and the ¼ cup saved soaking water. Cover and simmer 2 minutes. Toss in drained arame and tamari or shoyu, cover and simmer until tender but crisp, about 5 to 8 minutes. Place in bowl or on dish and serve. Soak Instant Pacific Sea Salad in lukewarm water for 10 minutes, then rinse and drain well. Heat the oil in a large skillet or wok, and sauté the onions and carrots for 5 minutes. Add zucchini and mushrooms, and sauté for 5 minutes more. Add shoyu, mirin, and spices, and mix evenly. Remove from heat, add Emerald Cove Instant Pacific Sea Salad, and toss well. Serve with rice or pasta. Rinse arame and soak for 10 minutes in a small bowl with enough water to cover well. Prepare seasoning and set aside. Drop cabbage into water brought to a boil with ½ tsp salt. Return to boil for 30 seconds; drain cabbage in colander. Remove arame from soaking water and drain. Heat oil in pan and lightly stir fry tofu and arame, add cabbage. Now add seasoning mixture and bring to a boil. Reduce heat and simmer until cabbage is soft (10 to 15 minutes). Prepare sauce, thinning to a pourable consistency with a little of the seasoning mixture or water. Stir the sauce into the vegetables just before serving.